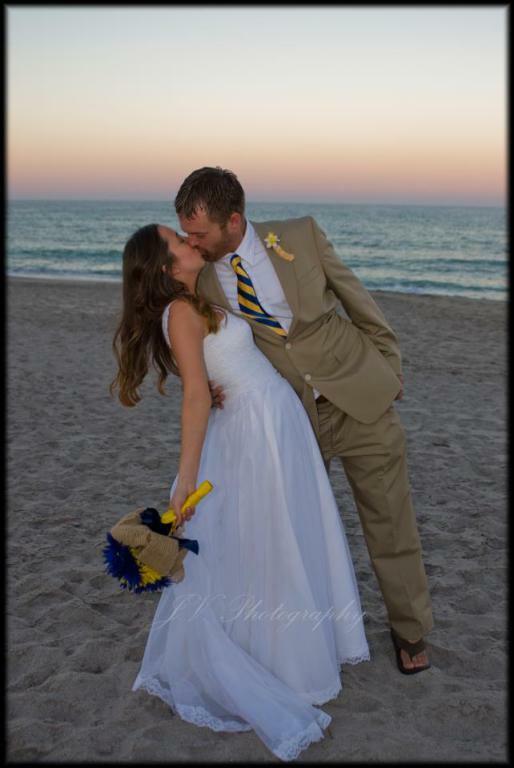 This week’s Reader ReFash comes from Sloane of Life and Food and Beer in South Florida! Perhaps it’s because I just got back from a lovely wedding (In Paradise…sigh), but you’re about to see the first Wedding Dress refashion I’ve ever posted here! It was always my moms dream for my sister or myself to wear her wedding dress. It was straight from the early 80’s and my sister was smart enough to pass. She shipped the dress to my after I called complaining about not being able to find a dress I liked. It arrived in a USPS, if it fits it ships box. The dress itself was actually wrapped in a trash bag. Once the box arrived, I stuck it in my closet without trying it on. After a night of drinking, I came home and decided to try it on. I blame it on of alcohol of course, because as I was standing on the toilet lid, I decided I could work with this. 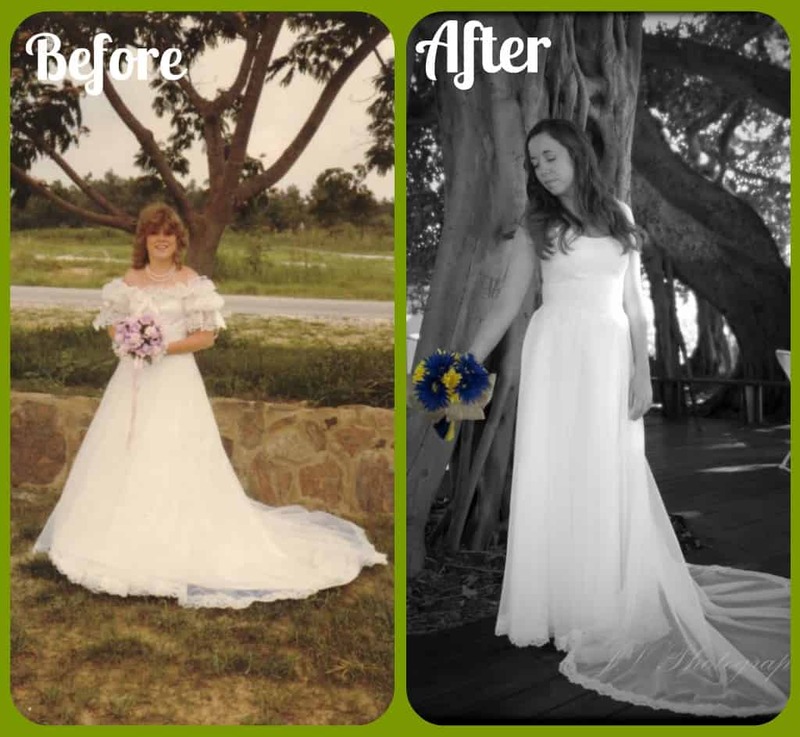 With the help of a professional seamstress, we redid the yellowing, aged, liner, took off the puffy sleeves and made them into straps, but keep the look of the original dress. 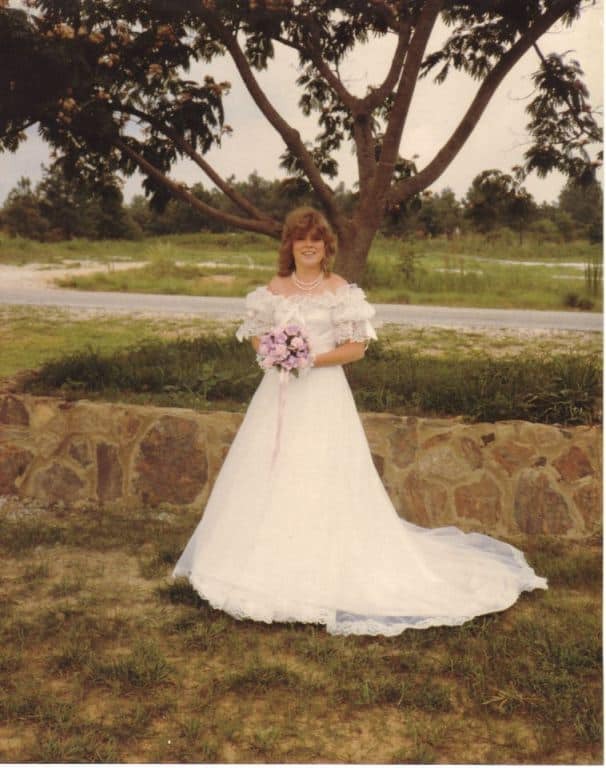 My mom wore a hopped skirt under the dress, very southern bell, so we slimmed the base of the dress in as well. On the day of the wedding, I did a dress reveal with my mom, and as soon as she seen it, she started crying saying “you keep it the same”. Seeing her so happy, made the 3 months of crying and wishing I had just bought a new dress worth it! You can read more about this refashion at Slone’s blog, Life and Food and Beer! That is so touching. I think redoing it but keeping it and wearing it is an honor to to mother and so clever. Big applause. 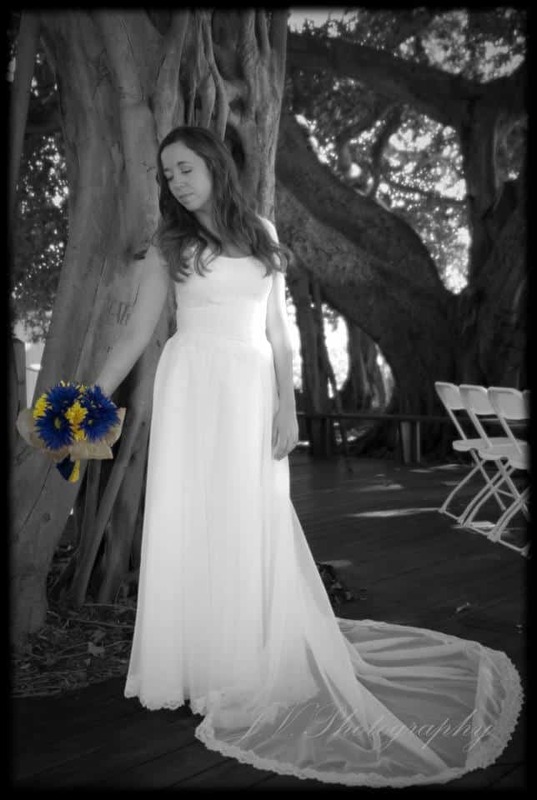 my daughter asked if she could “re:do” my dress someday- I thnk its a fabulous way to reuse a sentimental dress and can’t wait to see her use it. You rock! First let me congratulate you on making mom happy. Second let me congratulate you on finding a professional dressmaker. Third let me say you totally rocked this dress. And new hubby is a darling, too. Wow it looks amazing! :D (I completely echo the sentiments of Pat, above). Beautiful – a lovely thing to do! Beautiful! I love the whole story behind it! A wedding dress that not only looks lovely but also means so much. Hard to believe it’s the same dress. What a great story. Love this post! I just recently found a wedding dress in what was thought to be an empty box. Come to find out it’s from the early 70’s. Not sure if I should re-fashion or just find it a new home but this post inspires me!